There are so many different types of fishing that can be done in Fort Lauderdale and so many different types of fish to catch in Fort Lauderdale. Here's our list, get in touch with us if you have any suggestions of what we should add to it. We can arrange nearly every type of fishing listed here on one of our fishing charters. Please let us know if you have any special requests. 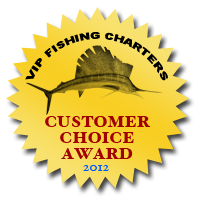 Our Fort Lauderdale fishing captains will work with you to put together a custom trip.